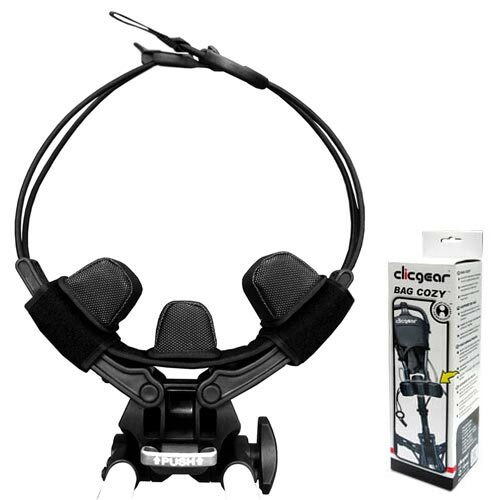 The Clicgear Bag Cozy is is designed to better secure all sizes of stand bags within the clicgear strap system. Designed to fit on any Clicgear, Rovic or other brand cart, it provides the best solution for making your stand bag fit any cart perfectly. Eliminates bag roll and frustrations with stand bags on all types of pushcarts. 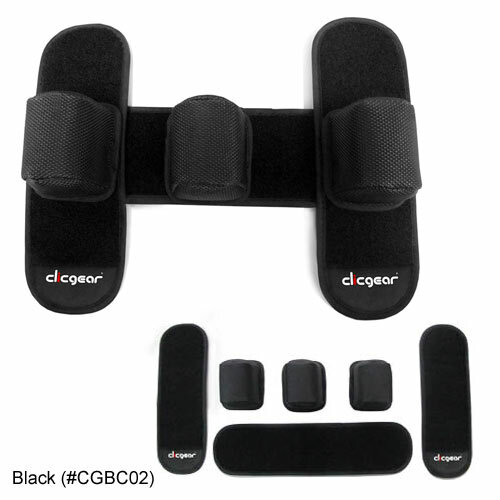 • The Clicgear Bag Cozy is designed to secure golf stand bags to our carts. 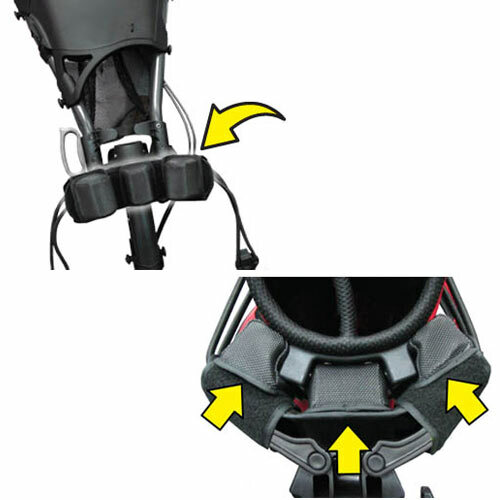 • The Bag Cozy attaches to the Upper Bag Saddle using Velcro Straps. • Comes with 3 Adjustable Bag Cushions to help customize the fit.